District Magistrate Office Nadia has liberated a job advertisement regarding District Magistrate Office Nadia Recruitment 2017. The organization invites applications from Skilled and capable candidates to fill up the 240 posts of Trained Male Civil Defence Volunteers. Desired aspirants who are willing to secure their job may apply by submitting offline application form on or before the last date (14th July 2017). 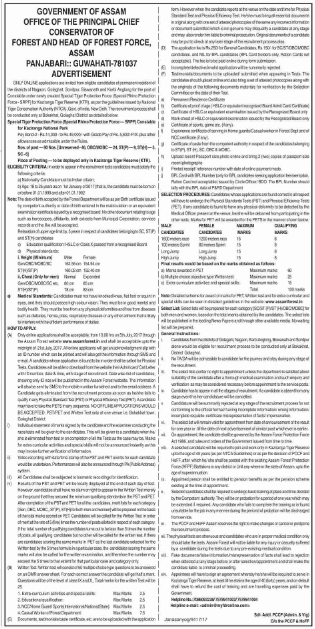 To get further information regarding District Magistrate Office Nadia Recruitment 2017, you should visit the below advertisement where you will get information about Selection Procedure, Pay Scale, Application Fee and much more. Aspirant’s age should be in the range of 18 to 33 Years counted from 01-01-2017. Contenders looking for this job will be chosen according to their performance in the Physical Fitness Test. How to Apply: Aspirants should visit the official website i.e. nadia.nic.in of the organization and download the required application form. Aspirants have to fill this form correctly attach the copies of the credentials demanded in the form. In the end, post the application form (filled completely by the aspirant) at the address specified below before 14-07-2017. Important Date: Starting Date / Ending Date for Receving offline Application form Is : 29-06-2017 to 14-07-2017. Education (School) Department has liberated a job advertisement regarding Education (School) Department Recruitment 2017. The organization invites applications from Skilled and capable candidates to fill up the 12000 posts of Counsellor, Library Assistant, Warden. Desired aspirants who are willing to secure their job may apply by submitting offline application form on or before the last date (10th July 2017). To get further information regarding Education (School) Department Recruitment 2017, you should visit the below advertisement where you will get information about Selection Procedure, Pay Scale, Application Fee and much more. Primary Qualification: Individuals looking for this job should hold 10th, Graduation Degree from an accredited board / university / institute. Aspirant’s age should be in the range of 27 to 45 years (Post 1), 26 to 45 years (Post 2-4), 21 to 45 years (Post 5). How to Apply: Aspirants should visit the official website i.e. schooleducation.tripura.gov.in of the organization and download the required application form. Aspirants have to fill this form correctly attach the copies of the credentials demanded in the form. In the end, post the application form (filled completely by the aspirant) at the address specified below before 10-07-2017. Important Date: Ending Date for Receving offline Application form Is : 10-07-2017. MSTC Limited has liberated a job advertisement regarding MSTC Limited Recruitment 2017. The organization invites applications from Skilled and capable candidates to fill up the 07 posts of Managers. Desired aspirants who are willing to secure their job may apply by submitting online application form on or before the last date (22nd July 2017). To get further information regarding MSTC Limited Recruitment 2017, you should visit the below advertisement where you will get information about Selection Procedure, Pay Scale, Application Fee and much more. Primary Qualification: Individuals looking for this job should hold Degree in Law, Masters Degree from an accredited board / university / institute. Age of the candidate should be less or equal to 45 years (Post 1), 40 years (Post 2), 38 years (Post 2), 34 years (Post 4) counted from 30-06-2017. How to Apply: Aspirants should visit the official website of the organization i.e. www.mstcindia.co.in and fill online application form with all details regarding your name, address, qualification details, experience details, upload photograph & signature etc and submit online form before 22nd July 2017. Important Date: Starting Date / Ending Date for Online Application form Is : 08-07-2017 to 22-07-2017. Assam Forest Department has liberated a job advertisement regarding Assam Forest Department Recruitment 2017. The organization invites applications from Skilled and capable candidates to fill up the 90 posts of SRPF Constable. Desired aspirants who are willing to secure their job may apply by submitting online application form on or before the last date (21st July 2017). To get further information regarding Assam Forest Department Recruitment 2017, you should visit the below advertisement where you will get information about Selection Procedure, Pay Scale, Application Fee and much more. Aspirant’s age should be in the range of 18 to 25 Years. Contenders looking for this job will be chosen according to their performance in Written Exam, Physical Standards Test, Interview. Application fee for the GEN / OBC Candidates is 250/-. Application fee for the ST/ SC Candidates is 150/-. How to Apply: Aspirants should visit the official website of the organization i.e. assamforest.in and fill online application form with all details regarding your name, address, qualification details, experience details, upload photograph & signature etc and submit online form before 21st July 2017. Important Date: Starting Date / Ending Date for Online Application form Is : 05-07-2017 to 21-07-2017. Ordnance Factory Medak has liberated a job advertisement regarding Ordnance Factory Medak Recruitment 2017. The organization invites applications from Skilled and capable candidates to fill up the 100 posts of Apprentices. Desired aspirants who are willing to secure their job may apply by attending walk-in interview on or before the last date (25th July 2017). To get further information regarding Ordnance Factory Medak Recruitment 2017, you should visit the below advertisement where you will get information about Selection Procedure, Pay Scale, Application Fee and much more. Primary Qualification: Individuals looking for this job should hold Diploma / Degree in Engineering from an accredited board / university / institute. How to Apply: Aspirants should have to Attend Walkin Interview along with copies of the credentials demanded in the format as mentioned in organization official website ofmedak.gov.in at the address specified below on 25th July 2017. HRD Section (OFILMD Building) near main gate Ordnance Factory Estate, Yaddumailaram. Important Date: Walkin Interview Date : 25-07-2017. District Court Nuapada has liberated a job advertisement regarding District Court Nuapada Recruitment 2017. The organization invites applications from Skilled and capable candidates to fill up the 13 posts of Junior Clerk, Typist, Stenographer. Desired aspirants who are willing to secure their job may apply by submitting offline application form on or before the last date (21st July 2017). To get further information regarding District Court Nuapada Recruitment 2017, you should visit the below advertisement where you will get information about Selection Procedure, Pay Scale, Application Fee and much more. Primary Qualification: Individuals looking for this job should hold 12th, Diploma in Computer Application from an accredited board / university / institute. Aspirant’s age should be in the range of 18 to 32 years counted from 21-07-2017. Contenders looking for this job will be chosen according to their performance in Written Exam, Interview. Application Fee is exempted for SC/ST/PWD of Odisha Candidates. How to Apply: Aspirants should visit the official website i.e. ecourts.gov.in of the organization and download the required application form. Aspirants have to fill this form correctly attach the copies of the credentials demanded in the form. In the end, post the application form (filled completely by the aspirant) at the address specified below before 21-07-2017. Important Date: Ending Date for Receving offline Application form Is : 21-07-2017. HLL Lifecare Limited has liberated a job advertisement regarding HLL Recruitment 2017. The organization invites applications from Skilled and capable candidates to fill up the 21 posts of Junior Operator, Junior Officer. Desired aspirants who are willing to secure their job may apply by submitting offline application form on or before the last date (13th July 2017). To get further information regarding HLL Recruitment 2017, you should visit the below advertisement where you will get information about Selection Procedure, Pay Scale, Application Fee and much more. Primary Qualification: Individuals looking for this job should hold ITI, Graduation Degree from an accredited board / university / institute. Age of the candidate should be less or equal to 35 Years (Post 1-6,8), 40 Years (Post 7). How to Apply: Aspirants should visit the official website i.e. www.hllbiotech.com of the organization and download the required application form. Aspirants have to fill this form correctly attach the copies of the credentials demanded in the form. In the end, post the application form (filled completely by the aspirant) at the address specified below before 13-07-2017. DEPUTY VICE PRESIDENT (HR & Admin), HLL BIOTECH LIMITED, INTEGRATED VACCINE COMPLEX, SURVEY NO.193 & 195, MELARIPAKKAM (PO), THIRUKALLUKUNDRAM (TK), KANCHIPURAM (DT), CHENGALPATTU – 603003. Important Date: Ending Date for Receving offline Application form Is : 13-07-2017. Arasu Rubber Corporation Limited has liberated a job advertisement regarding ARCL Recruitment 2017. The organization invites applications from Skilled and capable candidates to fill up the 03 posts of Junior Assistant. Desired aspirants who are willing to secure their job may apply by submitting offline application form on or before the last date (7th July 2017). To get further information regarding ARCL Recruitment 2017, you should visit the below advertisement where you will get information about Selection Procedure, Pay Scale, Application Fee and much more. Age of the candidate should be less or equal to 30 Years. How to Apply: Aspirants should visit the official website i.e. www.arasurubber.tn.nic.in of the organization and download the required application form. Aspirants have to fill this form correctly attach the copies of the credentials demanded in the form. In the end, post the application form (filled completely by the aspirant) at the address specified below before 07-07-2017. Important Date: Ending Date for Receving offline Application form Is : 07-07-2017. Deputy Commissioner Office Una has liberated a job advertisement regarding Deputy Commissioner Office Una Recruitment 2017. The organization invites applications from Skilled and capable candidates to fill up the 28 posts of Peons, Chowkidar. Desired aspirants who are willing to secure their job may apply by submitting offline application form on or before the last date (15th July 2017). To get further information regarding Deputy Commissioner Office Una Recruitment 2017, you should visit the below advertisement where you will get information about Selection Procedure, Pay Scale, Application Fee and much more. Aspirant’s age should be in the range of 18 to 45 Years counted from 01-01-2017. Application fee for the ST/ SC / PWD /IRDP / BPL / OBC / Widow / Divorced Woman / Destitute / Single Woman / Single Daughter/ Orphane Candidates is 50/-. How to Apply: Aspirants should visit the official website i.e. hpuna.nic.in of the organization and download the required application form. Aspirants have to fill this form correctly attach the copies of the credentials demanded in the form. In the end, post the application form (filled completely by the aspirant) at the address specified below before 15-07-2017. Deputy Commissioner Office Una, Himachal Pradesh. Important Date: Ending Date for Receving offline Application form Is : 15-07-2017. Ministry of Defence has liberated a job advertisement regarding Army Air Defence Records Recruitment 2017. The organization invites applications from Skilled and capable candidates to fill up the 19 posts of Lower Division Clerk. Desired aspirants who are willing to secure their job may apply by submitting offline application form on or before the last date (21st July 2017). To get further information regarding Army Air Defence Records Recruitment 2017, you should visit the below advertisement where you will get information about Selection Procedure, Pay Scale, Application Fee and much more. Contenders looking for this job will be chosen according to their performance in Written Exam / Typing Test. How to Apply: Aspirants should visit the official website i.e. of the organization and download the required application form. Aspirants have to fill this form correctly attach the copies of the credentials demanded in the form. In the end, post the application form (filled completely by the aspirant) at the address specified below before 21-07-2017. Commanding Officer, Army Air Defence Records, Gopalpur Military Station, Ganjam Odisha - 761052. Ministry of Defence has liberated a job advertisement regarding Ministry of Defence Recruitment 2017. The organization invites applications from Skilled and capable candidates to fill up the 128 posts of MTS, LDC, Material Assistant. Desired aspirants who are willing to secure their job may apply by submitting offline application form on or before the last date (Within 21 days). To get further information regarding Ministry of Defence Recruitment 2017, you should visit the below advertisement where you will get information about Selection Procedure, Pay Scale, Application Fee and much more. Primary Qualification: Individuals looking for this job should hold 10th, 12th, Diploma in Material Management / Engineering, Graduate Degree from an accredited board / university / institute. Aspirant’s age should be in the range of 18 to 25 years (Post 1-4), 18 to 27 years (Post 5). Contenders looking for this job will be chosen according to their performance in Written Exam, Physical Tests/Endurance Tests, Interview. How to Apply: Aspirants should visit the official website i.e. indianarmy.nic.in of the organization and download the required application form. Aspirants have to fill this form correctly attach the copies of the credentials demanded in the form. In the end, post the application form (filled completely by the aspirant) at the address specified below before Within 21 days. Important Date: Ending Date for Receving offline Application form Is : Within 21 days. Central Ordnance Depot has liberated a job advertisement regarding Ministry of Defence Recruitment 2017. The organization invites applications from Skilled and capable candidates to fill up the 10 posts of LDC, Messenger, Tradesman. Desired aspirants who are willing to secure their job may apply by submitting offline application form on or before the last date (30th June 2017). Contenders looking for this job will be chosen according to their performance in Test / Examination, Trade / Skill / Physical Test. How to Apply: Aspirants should visit the official website i.e. of the organization and download the required application form. Aspirants have to fill this form correctly attach the copies of the credentials demanded in the form. In the end, post the application form (filled completely by the aspirant) at the address specified below before 30-06-2017. Commandant COD Mumbai Pin 901173. Important Date: Ending Date for Receving offline Application form Is : 30-06-2017. NCC Directorate Odisha has liberated a job advertisement regarding NCC Directorate Odisha Recruitment 2017. The organization invites applications from Skilled and capable candidates to fill up the 04 posts of Lower Division Clerk. Desired aspirants who are willing to secure their job may apply by submitting offline application form on or before the last date (12th July 2017). To get further information regarding NCC Directorate Odisha Recruitment 2017, you should visit the below advertisement where you will get information about Selection Procedure, Pay Scale, Application Fee and much more. Aspirant’s age should be in the range of 18 to 27 Years. Contenders looking for this job will be chosen according to their performance in Written Exam / Test. How to Apply: Aspirants should visit the official website i.e. nccorissa.org of the organization and download the required application form. Aspirants have to fill this form correctly attach the copies of the credentials demanded in the form. In the end, post the application form (filled completely by the aspirant) at the address specified below before 12-07-2017. NCC Directorate Odisha Lewis Road, Bhubaneswar-751002. Important Date: Ending Date for Receving offline Application form Is : 12-07-2017. 11 Field Ordnance Depot has liberated a job advertisement regarding Ministry of Defence Recruitment 2017. The organization invites applications from Skilled and capable candidates to fill up the 18 posts of LDC, MTS, Material Assistant. Desired aspirants who are willing to secure their job may apply by submitting offline application form on or before the last date (7th July 2017). Primary Qualification: Individuals looking for this job should hold 10th, 12th, Diploma, Graduation Degree from an accredited board / university / institute. Contenders looking for this job will be chosen according to their performance in Written Exam, Physical Test, Skill Test. How to Apply: Aspirants should visit the official website i.e. 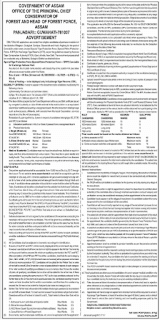 indianarmy.nic.in of the organization and download the required application form. Aspirants have to fill this form correctly attach the copies of the credentials demanded in the form. In the end, post the application form (filled completely by the aspirant) at the address specified below before 07-07-2017. 11 Field Ordnance Depot, Pin Code-909911, C/o 56 APO. State Co-Operative Election Authority has liberated a job advertisement regarding State Co-Operative Election Authority Recruitment 2017. The organization invites applications from Skilled and capable candidates to fill up the 30 posts of Advocate. Desired aspirants who are willing to secure their job may apply by submitting offline application form on or before the last date (28th July 2017). To get further information regarding State Co-Operative Election Authority Recruitment 2017, you should visit the below advertisement where you will get information about Selection Procedure, Pay Scale, Application Fee and much more. Primary Qualification: Individuals looking for this job should hold Bachelor Degree in Law from an accredited board / university / institute. Age of the candidate should be less or equal to 58 Years. How to Apply: Aspirants should visit the official website i.e. sahakarayukta.maharashtra.gov.in of the organization and download the required application form. Aspirants have to fill this form correctly attach the copies of the credentials demanded in the form. In the end, post the application form (filled completely by the aspirant) at the address specified below before 28-07-2017. State Co-Operative Election Authority, Pune. Important Date: Ending Date for Receving offline Application form Is : 28-07-2017. Collector Office Jagatsinghpur has liberated a job advertisement regarding Collector Office Jagatsinghpur Recruitment 2017. The organization invites applications from Skilled and capable candidates to fill up the 03 posts of Data Entry Operator, Data Analyst, Accountant. Desired aspirants who are willing to secure their job may apply by submitting offline application form on or before the last date (5th July 2017). To get further information regarding Collector Office Jagatsinghpur Recruitment 2017, you should visit the below advertisement where you will get information about Selection Procedure, Pay Scale, Application Fee and much more. Primary Qualification: Individuals looking for this job should hold Graduation Degree / Post Graduation Degree from an accredited board / university / institute. Aspirant’s age should be in the range of 21 to 35 Years. Contenders looking for this job will be chosen according to their performance in Written Exam and Interview. How to Apply: Aspirants should visit the official website i.e. jagatsinghpur.nic.in of the organization and download the required application form. Aspirants have to fill this form correctly attach the copies of the credentials demanded in the form. In the end, post the application form (filled completely by the aspirant) at the address specified below before 05-07-2017. Important Date: Ending Date for Receving offline Application form Is : 05-07-2017. Indo German Tool Room has liberated a job advertisement regarding IGTR Recruitment 2017. The organization invites applications from Skilled and capable candidates to fill up the 14 posts of Engineer. Desired aspirants who are willing to secure their job may apply by submitting offline application form on or before the last date (24th July 2017). To get further information regarding IGTR Recruitment 2017, you should visit the below advertisement where you will get information about Selection Procedure, Pay Scale, Application Fee and much more. Primary Qualification: Individuals looking for this job should hold Engineering Degree from an accredited board / university / institute. Age of the candidate should be less or equal to 35 Years (Post 1-3), 30 Years (Post 4,5) counted from 01-06-2017. How to Apply: Aspirants should visit the official website i.e. igtrahd.com of the organization and download the required application form. Aspirants have to fill this form correctly attach the copies of the credentials demanded in the form. In the end, post the application form (filled completely by the aspirant) at the address specified below before 24-07-2017. Important Date: Ending Date for Receving offline Application form Is : 24-07-2017. Banaras Hindu University has liberated a job advertisement regarding BHU Recruitment 2017. The organization invites applications from Skilled and capable candidates to fill up the 03 posts of Medical Officer, Safaikarmi. Desired aspirants who are willing to secure their job may apply by attending Walk in interview/ Skill Test/ Written Exam on or before the last date (6th July 2017). To get further information regarding BHU Recruitment 2017, you should visit the below advertisement where you will get information about Selection Procedure, Pay Scale, Application Fee and much more. Primary Qualification: Individuals looking for this job should hold 8th / Graduation Degree / Post Graduation Degree / M.B.B.S from an accredited board / university / institute. Contenders looking for this job will be chosen according to their performance in Walk in interview/ Skill Test/ Written Exam. How to Apply: Aspirants should have to Attend Walk in interview/ Skill Test/ Written Exam along with copies of the credentials demanded in the format as mentioned in organization official website www.bhu.ac.in at the address specified below on 6th July 2017. Important Date: Walk in interview/ Skill Test/ Written Exam Date : 06-07-2017. Tamil Nadu Generation and Distribution Corporation Limited has liberated a job advertisement regarding TANGEDCO Recruitment 2017. 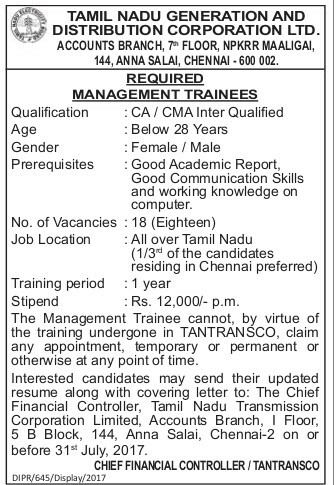 The organization invites applications from Skilled and capable candidates to fill up the 18 posts of Management Trainee. Desired aspirants who are willing to secure their job may apply by submitting offline application form on or before the last date (31st July 2017). To get further information regarding TANGEDCO Recruitment 2017, you should visit the below advertisement where you will get information about Selection Procedure, Pay Scale, Application Fee and much more. Primary Qualification: Individuals looking for this job should hold CA/CMA from an accredited board / university / institute. Age of the candidate should be less or equal to 28 Years. How to Apply: Aspirants should have to fill this form correctly attach the copies of the credentials demanded in the form. In the end, post the application form (filled completely by the aspirant) at the address specified below before 31st July 2017. Aspirants are advised to visit www.tangedco.gov.inofficial website of the organization time to time for more updates. Important Date: Ending Date for Receving offline Application form Is : 31-07-2017. District & Sessions Judge Kodagu has liberated a job advertisement regarding District & Sessions Judge Kodagu Recruitment 2017. The organization invites applications from Skilled and capable candidates to fill up the 12 posts of Typist-Copyist. Desired aspirants who are willing to secure their job may apply by submitting online application form on or before the last date (8th July 2017). To get further information regarding District & Sessions Judge Kodagu Recruitment 2017, you should visit the below advertisement where you will get information about Selection Procedure, Pay Scale, Application Fee and much more. Primary Qualification: Individuals looking for this job should hold 10th / 12th from an accredited board / university / institute. Contenders looking for this job will be chosen according to their performance in Computer Proficiency Test . Application fee for the ST/ SC / PWD Candidates is 150/-. How to Apply: Aspirants should visit the official website of the organization i.e. ecourts.gov.in and fill online application form with all details regarding your name, address, qualification details, experience details, upload photograph & signature etc and submit online form before 8th July 2017. Important Date: Ending Date for Online Application form Is : 08-07-2017. Institute of Home Economics has liberated a job advertisement regarding IHE Recruitment 2017. The organization invites applications from Skilled and capable candidates to fill up the 24 posts of Assistant Professor. Desired aspirants who are willing to secure their job may apply by submitting online application form on or before the last date (30th June 2017). To get further information regarding IHE Recruitment 2017, you should visit the below advertisement where you will get information about Selection Procedure, Pay Scale, Application Fee and much more. Primary Qualification: Individuals looking for this job should hold Post Graduation Degree (M.Sc. Bio-Chemistry/Biotechnology) from an accredited board / university / institute. How to Apply: Aspirants should visit the official website of the organization i.e. www.ihe-du.com and fill online application form with all details regarding your name, address, qualification details, experience details, upload photograph & signature etc and submit online form before 30th June 2017. Important Date: Ending Date for Online Application form Is : 30-06-2017. Chief District Medical Office Malkangiri has liberated a job advertisement regarding CDMO Recruitment 2017. The organization invites applications from Skilled and capable candidates to fill up the 29 posts of Staff Nurse, ANM. Desired aspirants who are willing to secure their job may apply by submitting offline application form on or before the last date (7th July 2017). To get further information regarding CDMO Recruitment 2017, you should visit the below advertisement where you will get information about Selection Procedure, Pay Scale, Application Fee and much more. Aspirant’s age should be in the range of 21 to 32 Years counted from 01-06-2017. Contenders looking for this job will be chosen according to their performance in Written Exam, Interview, Physical Fitness Test. How to Apply: Aspirants should visit the official website i.e. www.malkangiri.nic.in of the organization and download the required application form. Aspirants have to fill this form correctly attach the copies of the credentials demanded in the form. In the end, post the application form (filled completely by the aspirant) at the address specified below before 07-07-2017. Madhya Pradesh Board of Secondary Education has liberated a job advertisement regarding MPBSE Recruitment 2017. The organization invites applications from Skilled and capable candidates to fill up the 05 posts of Driver. Desired aspirants who are willing to secure their job may apply by submitting offline application form on or before the last date (14th July 2017). To get further information regarding MPBSE Recruitment 2017, you should visit the below advertisement where you will get information about Selection Procedure, Pay Scale, Application Fee and much more. Primary Qualification: Individuals looking for this job should hold 8th from an accredited board / university / institute. Aspirant’s age should be in the range of 18 to 40 Years. Contenders looking for this job will be chosen according to their performance in Driving Test, Interview . How to Apply: Aspirants should visit the official website i.e. www.mpbse.nic.in of the organization and download the required application form. Aspirants have to fill this form correctly attach the copies of the credentials demanded in the form. In the end, post the application form (filled completely by the aspirant) at the address specified below before 14-07-2017. Important Date: Ending Date for Receving offline Application form Is : 14-07-2017. Bihar Rural Livelihoods Promotion Society has liberated a job advertisement regarding BRLPS Recruitment 2017. The organization invites applications from Skilled and capable candidates to fill up the 03 posts of Manager, Accountant. Desired aspirants who are willing to secure their job may apply by attending walk-in interview on or before the last date (30th June 2017). To get further information regarding BRLPS Recruitment 2017, you should visit the below advertisement where you will get information about Selection Procedure, Pay Scale, Application Fee and much more. Primary Qualification: Individuals looking for this job should hold Post Graduation Degree from an accredited board / university / institute. Important Date: Walkin Interview Date : 30-06-2017. Centre for Marine Living Resources and Ecology has liberated a job advertisement regarding CMLRE Recruitment 2017. The organization invites applications from Skilled and capable candidates to fill up the 45 posts of Project Scientist, Junior Research Fellows. Desired aspirants who are willing to secure their job may apply by submitting online application form on or before the last date (Within 30 Days). To get further information regarding CMLRE Recruitment 2017, you should visit the below advertisement where you will get information about Selection Procedure, Pay Scale, Application Fee and much more. Primary Qualification: Individuals looking for this job should hold Master Degree, Ph.D from an accredited board / university / institute. Age of the candidate should be less or equal to 40 years (for Post 1), 35 years (for Post 2), 30 years (for Post 3). How to Apply: Aspirants should visit the official website of the organization i.e. www.incois.gov.in and fill online application form with all details regarding your name, address, qualification details, experience details, upload photograph & signature etc and submit online form before Within 30 Days. Ending Date for Online Application form Is : Within 30 Days. Chhattisgarh State Power Holding Company Limited has liberated a job advertisement regarding CSPHCL Recruitment 2017. The organization invites applications from Skilled and capable candidates to fill up the Various posts of DGM/AGM. Desired aspirants who are willing to secure their job may apply by submitting offline application form on or before the last date (14th July 2017). To get further information regarding CSPHCL Recruitment 2017, you should visit the below advertisement where you will get information about Selection Procedure, Pay Scale, Application Fee and much more. Primary Qualification: Individuals looking for this job should hold Engineering Degree / Post Graduation Degree from an accredited board / university / institute. Age of the candidate should be less or equal to 62 Years counted from 01-04-2017. Application fee for the All Category Candidates is 1000/-. How to Apply: Aspirants should visit the official website i.e. www.cspdcl.co.in of the organization and download the required application form. Aspirants have to fill this form correctly attach the copies of the credentials demanded in the form. In the end, post the application form (filled completely by the aspirant) at the address specified below before 14-07-2017. Catholic Syrian Bank has liberated a job advertisement regarding Catholic Syrian Bank Recruitment 2017. The organization invites applications from Skilled and capable candidates to fill up the 189 posts of Sales Executives, Managers. Desired aspirants who are willing to secure their job may apply by submitting online application form. To get further information regarding Catholic Syrian Bank Recruitment 2017, you should visit the below advertisement where you will get information about Selection Procedure, Pay Scale, Application Fee and much more. Age of the candidate should be less or equal to 45 years (Post 1), 35 years (Post 2-7), 45 years (Post 1), 28 years (Post 8). How to Apply: Aspirants should visit the official website of the organization i.e. www.csb.co.in and fill online application form with all details regarding your name, address, qualification details, experience details, upload photograph & signature etc and submit online form.